As I watched the thrilling Super Bowl between the New England Patriots and the Philadelphia Eagles, one thing I wanted to keep an eye on were the pending free agents on both teams. As I watched the Eagles through the playoffs, it was obvious that their defense was special and would be a reason they would win the Super Bowl. The Patriots did not have a top 10 defense but their defense did not give up a lot of points. Well, at least until the Super Bowl. So I was looking for a defensive player who would be a free agent that would make an immediate impact on the defensive side of the football. One guy stood out to me and he didn’t even play in the Super Bowl. 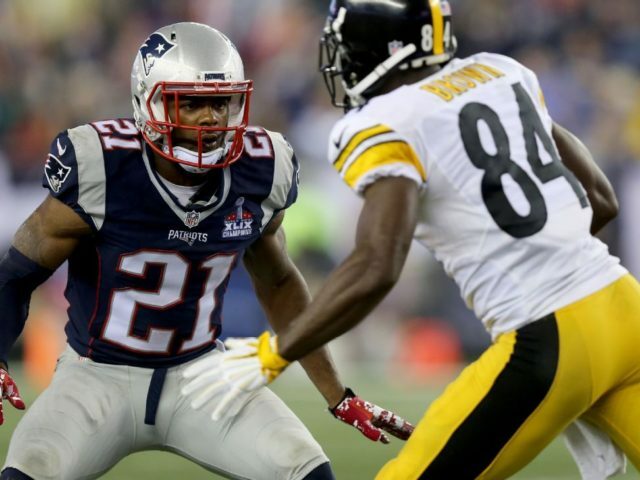 He is cornerback Malcolm Butler. He is set to become top cornerbacks on this year’s free agent market. After he was benched during the Patriots biggest game of the year, and he comments afterwards on how the team gave up on him, it became apparent that Butler is unlikely to return to the AFC Champions in 2018. They could franchise tag him, but I wouldn’t think that would happen after the benching and his comments. He was named to the Pro Bowl in 2015 and then to the All-Pro team in 2016. Most fans may remember Butler from the 2014 Super Bowl between the Patriots and Seattle Seahawks. He not only made the biggest play of the game but also of his career by intercepting Seahawks QB Russell Wilson at the goal line to clinch the forth Super Bowl championship for New England. 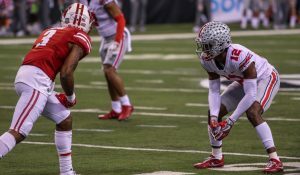 By adding Butler to the secondary, he would immediately become the Packers number 1 cornerback and help Kevin King grow, as they could become one of the best cornerback tandems in the league. He is an exceptional cover corner and since 2015, he has recorded at least 2 interceptions a year and averaged 15 passes defended. Green Bay’s secondary is far from good, so these numbers would be an upgrade to what we currently have on the roster. I also feel that he would bring a tenacity, and swagger to a defense lacking attitude and aggressiveness. Green Bay hasn’t had a player in the secondary that could upgrade the entire unit since Charles Woodson was roaming the backend of the defense. He would instantly provide new defensive coordinator, Mike Pettine, with another playmaker to go along with Mike Daniels, Ha Ha Clinton Dix, and Morgan Burnett. 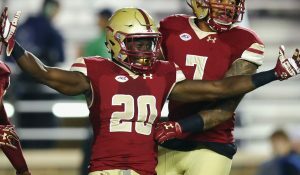 The Packers will have to be aggressive early on in the free agent market to acquire Butler as I would suspect many teams would be after a player of his talents. By adding Butler in free agency, this always GM Brian Gutekunst to target other positions on the defensive side of the football and offensive in the NFL draft. 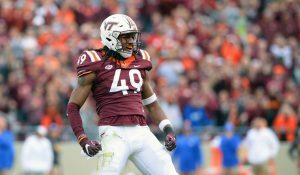 Drafting a pass rusher and signing Butler would instantly upgrade the defense and provide the Packers with a better opportunity to reach the Super Bowl next year. If new General Manager Brian Gutekunst wants to make a statement and separate himself from Ted Thompson, he needs to make a splash in free agency to get this team back to championship caliber football. Malcolm Butler would be the splash needed to upgrade the secondary and defense to bring a fifth Super Bowl championship to Titletown. This entry was posted in Anthony Haag, Packers 2017-2018 Season and tagged defense, Green Bay Packers, malcolm butler, super bowl. Bookmark the permalink. Negative, too small, and anyone who can’t see that there was an “Incident” that caused his benching, is MISSING IT! Dude played almost 98% of the defensive snaps in NE. Why would you bench that without reason. Answer is, you wouldn’t! Question is, what happened? Speculation is he missed Curfew and got popped for weed! That coming from football sources. NE is not saying anything! Good for Butler who is a UFA, because if found to be true, dude is going to be hard pressed to get any serious money after such a major misstep. He’s already come out and said the rumors were not true — he was with his family before the Super Bowl. You could say that about anyone. Believe whoever / whatever you want to. I say no. For one thing, his market value will be $10M+ and we have to sign Rodgers. For another, look at another former Patriot CB: Logan Ryan. Tennessee signed him last year to a 3 year, $30M deal, with $12M guaranteed and a $2M bonus. He had ZERO interceptions in 2017 in 15 games. Yep, great investment. His market value may not be as high as you think. There are going to be a lot of sought after FA CBs this year, which will drive the price down a little. Plus with the increases in cap, $10 million/per for a top CB is not unreasonable. Logan Ryan was never as good as Butler. He was a league average CB last year (#67 according to PFF), making a lot of money. But you can’t assess a corner based on Interception numbers. His deal wasn’t as big as you lead on. It is full of a bunch of funny money. In fact, he’ll likely be cut in a few weeks and only count $3.3 million against the Titans cap. There may be a lot of FA CBs, but it’s not necessarily a great group. The best guys could be franchised or re-signed. In addition, who from this CB class is a reasonable acquisition? but I’d rather have someone like Josh Jackson in the draft. Sure, you can measure guys against other metrics like pass break ups, but if I’m a GM paying big money, then I expect big production, which the Titans never got. That said, I’d be stunned if the Packers sign him, especially since they only have about $20M in projected cap space. 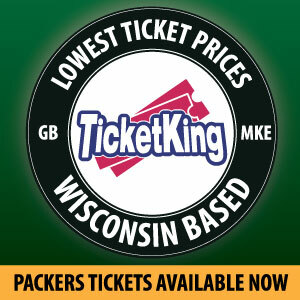 After the rookies, our own guys (including Rodgers mega deal), financially I don’t see Gutekunst doing this.